their application toward health and healing. Learn this ancient knowledge, and marvel at how it has been expertly merged with modern science. The first part of the course is shared, consisting of 5 weeks study before we accredit the participants with 300 hour certificate (though that only counts as RYT 200 hours with the American Yoga Alliance). The second part of this course specialises in healing - in particular, rejuvenation techniques for glands and organs which may have become dysfunctional and evolved into disease. During this time students are taken into a deeper experience and understanding of 'energy' and its role in the mind - body connection, as seen in the science of yoga, supplemented with the methods and techniques to influence, enhance and improve the functions of various glands and organs. Applying this in personal practice activates the self-healing forces within us; then methods of reaching out to help others with this healing skill follows. By the end of the 2 months, during which time students go deeply into the physiological functions, body chemistry and biology, participants receive a 500 hour certificate and accreditation for RYT500 under the Yoga Alliance USA. We cover various topics including but not limited to; Asanas and movement, Pranayama, Ghana, Chiqitsa, Yantra, Rejuvenation, Mantra, Tantra & Kundalini, Raja, Satsang. We also delve into the mind and the reality of “mind over matter”. 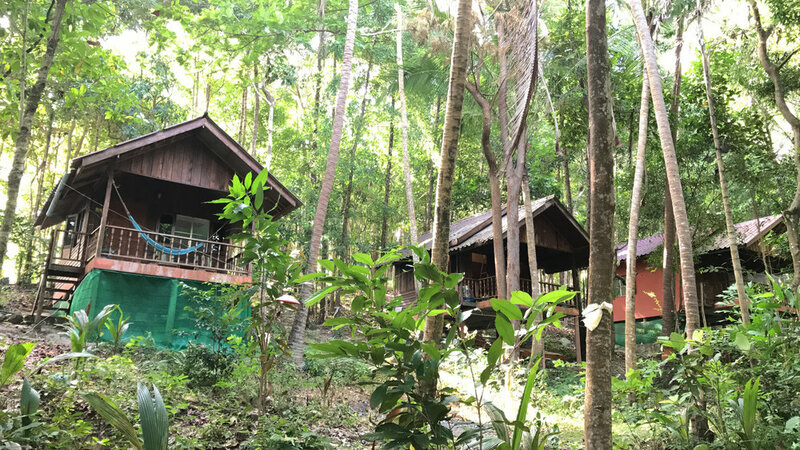 Take refuge at our beautiful jungle retreat center on Koh Phangan. Boasting breath taking ocean views, our Thai haven is nestled amongst coconut palms overlooking the tranquil Haad Salad beach. A longtime favourite of past kings of Thailand, Koh Phangan is one of three small islands just east of the mainland in the Gulf of Southern Thailand. Known for its white sandy beaches, warm emerald waters, abundant coral reefs and famous Full Moon Parties, the seemingly small island is large enough to entertain both passers by and long-staying wanderers. For those coming to us from the regular 9-5 grind and unable to disconnect entirely, never fear! Our jungle sanctuary is but a stones throw away from hi-speed internet, public telephones, ATM services and most other modern amenities to which we've become accustomed. We have many on-site and offsite accommodation options available. Suiting your budget and needs, we have a variety of options available according to what you would like to do (subject to availability and demand of course). Check out the accomodation page for more info.